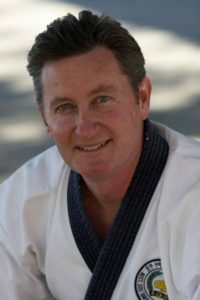 A short letter to say thanks to the USA Federation's members for their generosity and attention to all preparations and support for the successful 2018 Work Moo Duk Kwan® Symposium held at the United States Soo Bahk Do Moo Duk Kwan Federation® 40th National Festival in Montgomery Texas. Looking after the WMDK Zone representatives so the event could run smoothly is certainly appreciated. Once we arrived, the transfers, quality accommodation, and overall kindness showed to us by all the U.S. Federation members was most memorable. May I ask you to please share with the U.S. Membership our collective heartfelt "Thank you!" The WMDK Zone symposium was attended by our Kwan Jang Nim HC Hwang and Zone representatives Guzman Sa Bom Nim from Mexico, Hays Sa Bom Nim from the USA Mollett Sa Bom Nim from France and Glenn Sa Bom Nim from Australia. Importantly, all agenda items were addressed and the minutes will be submitted to WMDK once they have been finalized by the 2018 Secretary.